My name is Puzzle the Monkey. I am called Puzzle because Hannah says I am a bit squint and I always have a puzzled look on my face. 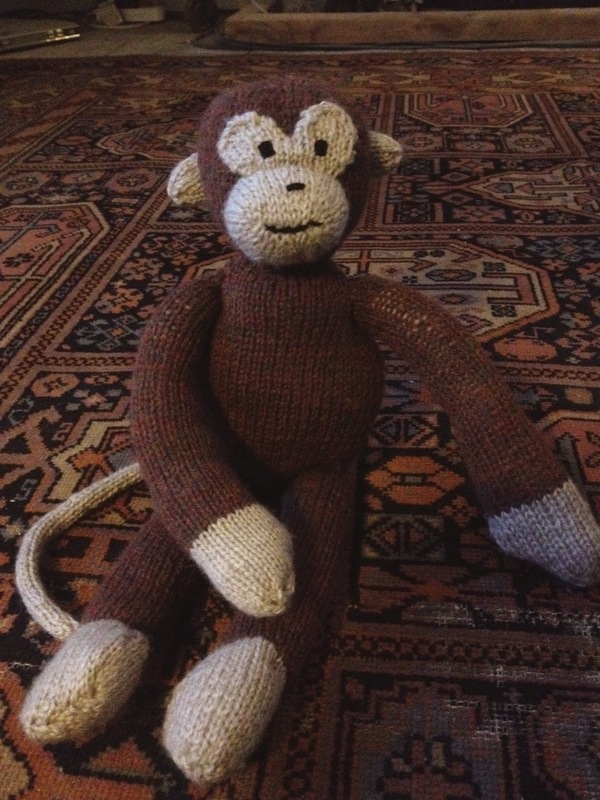 I am the first monkey that she has ever made, and I think she really enjoyed knitting me. 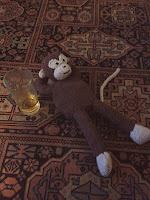 Especially when I got sewn together and I started to come to life. She called me "So cute" so many times I thought that might be my name! 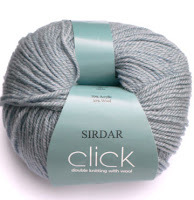 I am made from Sirdar Click DK Cobble (129) which although it looks brown is actually lots of lovely colours. My muzzle, hands, feet, tail and ears are shade Downy (144). I am lovely to cuddle and if I fall in a puddle can go in the big machine to be washed. Although not too fast or I might get dizzy! At the moment I am settling into my new home with Baby Boy. Hannah says she will post me nice things on my Birthday & Christmas, like bananas and pyjamas. 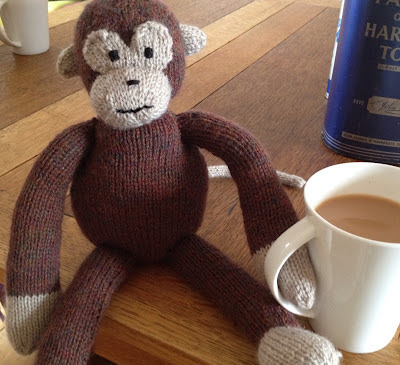 If you would like to knit a friend like me you can find me in Sarah Keen's book Knitted Wild Animals: A Collection of Adorable Animals to Create from Scratch or on Ravelry.